In the beginning we only the stylish, modern & matte Dark Smoke color in the 6T4T & Gastronorm range, but now we are also pleased to offer you the System 28 trays in this beautiful Dark Smoke color! 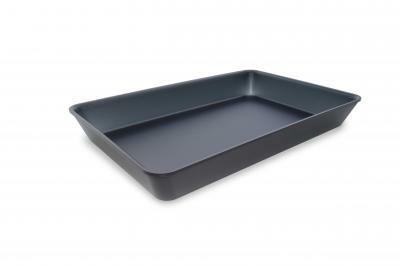 The trays in Dark Smoke are very strong, dishwasher safe (up to 80°) and modular. The System 28 plexi trays are specially developed for counters of 85 cm deep. The brandnew System 28 trays in Dark Smoke are available in 8 sizes and 2 different depths (20 and 50 mm). Other dimensions or sizes are available on request. Below you will find a list of the eight trays of the System 28 Smoke Dark Collection.